Smoking is a risk factor for periodontal disease. Smokers are at much greater risk of losing teeth due to periodontal disease than non-smokers. Smoking reduces the blood supply to the tissues surrounding the teeth. The intense heat and toxins produced during smoking can negatively affect the bacterial composition of the mouth and the body’s immune response to the bacteria that cause periodontal disease. 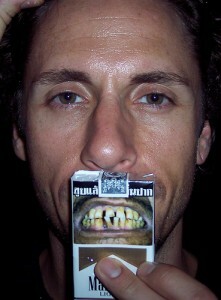 Smoking reduces the effectiveness of periodontal therapy regardless of the level of oral hygiene.